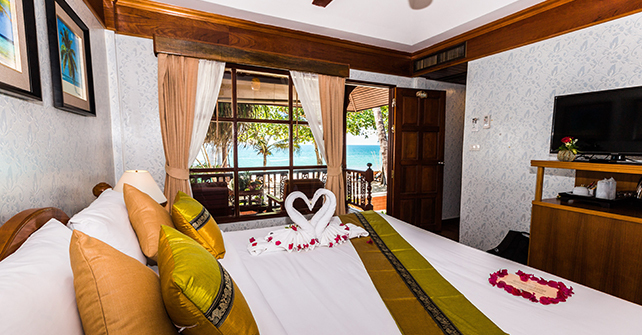 Lamai Coconut Beach Resort - Your Holidays starts here! 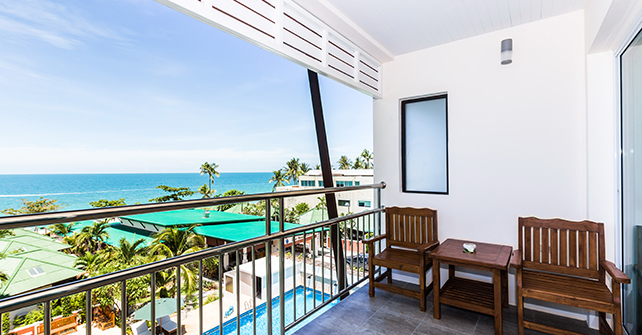 Lamai Coconut Beach Resort offers 30 detached wooden bungalows with private balconies and a brand new building which offers 32 rooms either with garden, pool or stunning sea view, just steps from beautiful sandy Lamai Beach. The detached wooden bungalows build in Thai style were planned to optimize space, functionality and comfort for our guests. They equipped with air conditioning, satellite TV, fridge, safety deposit box and en suite bathroom with hot and cold shower facilities. 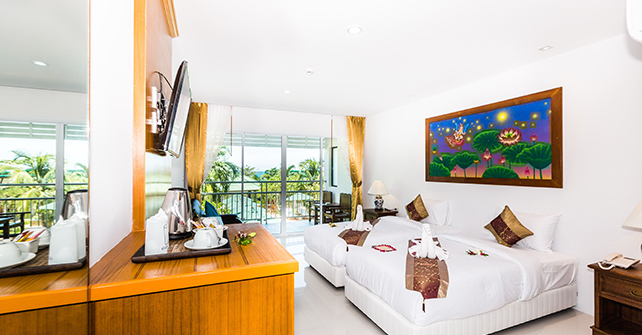 All our brand new superior rooms are bright and spacious each with balcony and feature large windows, air conditioning, satellite TV, fridge, safety deposit box, bathtub with hot and cold shower facilities, separate rain shower. The resort boasts a sun terrace with new outdoor pool, a new outdoor beachfront restaurant, an indoor restaurant, a beach bar with daily happy hour, free wireless internet access throughout the hotel resort, a spacy free car park. Our all-day dining restaurant serves both Thai and Western dishes. 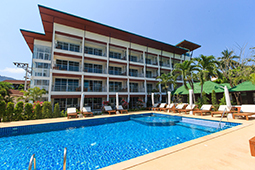 Regardless of how many stars our resort has, we provide our guests a 5 star service with excellent facilities such as 24 hours reception, Thai style lobby, reading corner, laundry service, baby sitting on request, 24 hours doctor on call and tour desk, car and motorbike rental. 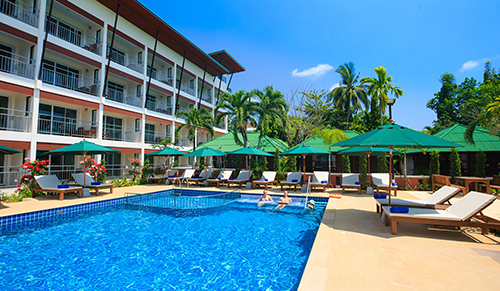 Lamai Coconut Beach Resort has a quiet location, yet is only a few steps away from shops, banks, restaurants and nightlife in the very center of Lamai. 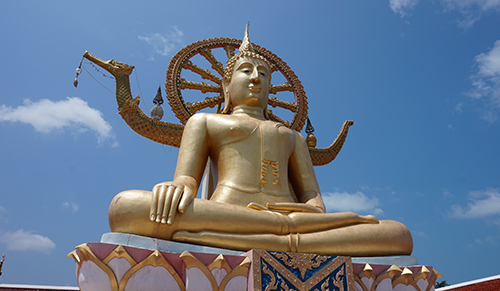 30 minutes by car from Samui Airport and not far from places of interest. 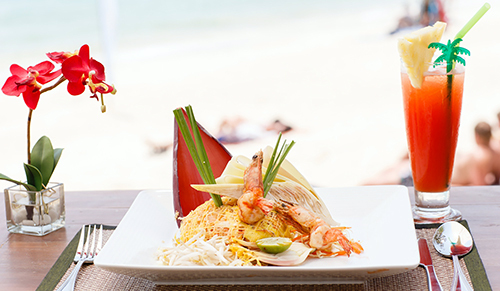 Stay in the real heart of Lamai - this is our guests' favourite part of Lamai Beach, according to independent reviews.